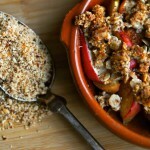 This healthy apple crumble is super easy to make, it’s healthy and tastes great. I often make it, when I have apples in my fruit basket, because all the other ingredients such as coconut oil, barley flakes and cinnamon is something I always have in my kitchen. 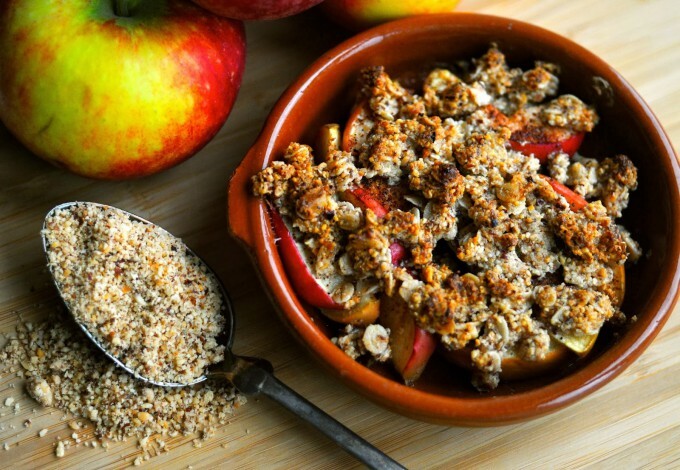 This healthy apple crumble doesn’t take more than 20 minutes in total to make and you can easily make it in advance, before your guests are arriving and then bake it for 12-15 minutes after the main course. Right now it’s the peak of the apple season here in Denmark and you can get the most crispy and sweet apples with the right level of acidity. I love the Danish apples and my fruit basket is always full of them during fall. If they become too ripe, I make some apple sauce that I use for many different purposes. For example as a sweetener in my homemade granola or muesli or in cakes such as my Madeleine cakes with applesauce, almond flour and apricots. 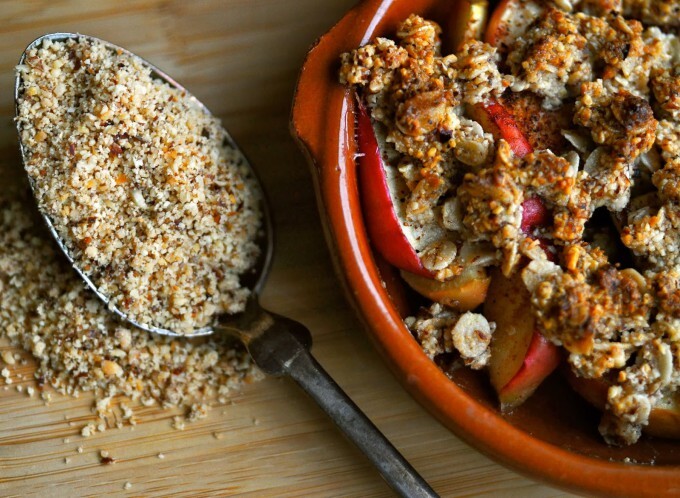 This apple crumble only contains ingredients that are good for you. You get the healthy fats from the almond flour and the great fibres from the apples and barley flakes. 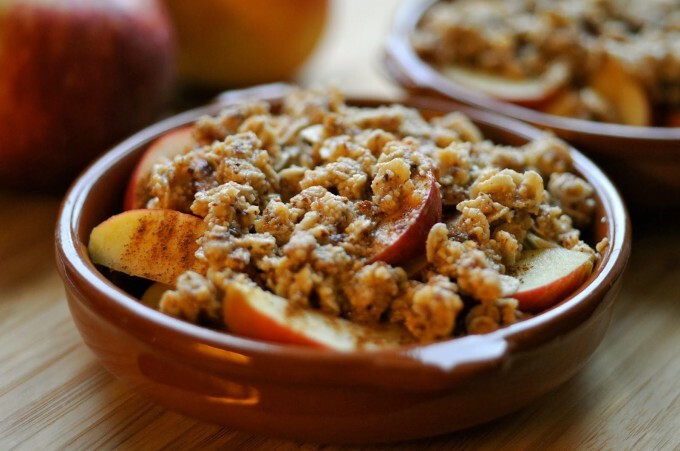 That is why, you can easily eat this healthy apple crumble for breakfast as well. I do that sometimes and instead of adding the high fat greek yoghurt I eat it together with the low fat/high protein yoghurt skyr. If you are a frequent reader of my blog, you know that I got a thing for the Icelandic yoghurt skyr and if you ever come across it in a supermarket, try it out! 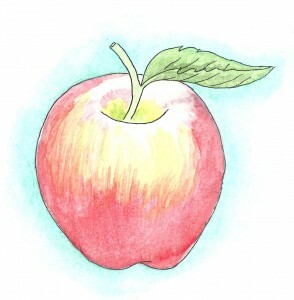 If you feel like experimenting a bit, than try substituting the apples with pears or even plums. 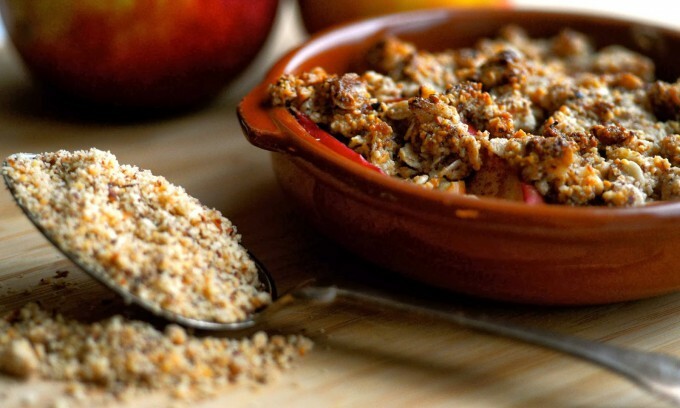 It works really great as well and last but not least, if you like the flavor of cardamom try adding some to your crumble, it takes your healthy apple crumble to an even higher level.